Every marketer, and especially those in software marketing, understands the power of “filling the funnel” with prospects that are interested in what your companies has to offer, whether products or services. Marketers across many industries have relied upon the trusty “paid, owned, earned, and shared” channels that have proven to be successful for years on end (with a few new channels introduced along the way): boost website traffic with SEO, attend trade shows and host field marketing events, use digital advertising and remarketing, implement a PR strategy, use social media, and on and on. Marketers are open about sharing their experiences with these tried and true channels, and it’s true they’ve proven successful and have gotten many companies to where they are today—along with, of course, a lot of hard work, trial and error, and sales velocity. But what kinds of new technology are you trying? How is your marketing team innovating and experimenting with new channels that your prospects aren’t being inundated with? If you’re just doing what all of your competitors are doing and aren’t trying anything new, then you’re already behind. In order to accomplish your lofty goals each month, quarter, and year, you’re likely investing heavily in the traditional channels above as a way to capture interest and educate your audience about your technology. We’d like to introduce you to a new channel that every marketer should add to their toolbox: email signature marketing. Often, marketers work alongside their sales counterparts to help craft messages and campaigns for the sales team to use in prospecting key accounts to open the door to conversations. Communicating via email (such as Gmail or Outlook) is perhaps one of the most commonly used methods of prospecting, and corresponding in general, for sales reps. In fact, the average employee of a company will send 10,000 emails annually! 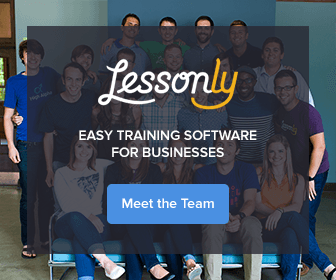 For a company with just 100 employees, that can quickly escalate to over 1M emails sent annually. For marketers, these email communications can be a prime opportunity for helping sales open the door by using the email signature to generate great, warm leads from those already exposed to your company. How? Here are five ways to get started. When prospecting an individual or a company that is likely unaware of what your company does, give them some easy-to-digest information in the form of a quick video. Include the call-to-action in the email signature for them to watch this 1–2 minute demo video to gain more of an understanding of what your product or service offers, what the benefits are, as well as quick customer success quotes or logos. By giving your prospects this information right away, they can determine almost immediately if the product or service could be of use, opening the door to further conversations, rather than seeking to schedule a 30-minute demo out of the gate. You have a great company culture, full of empowerment, advancement, and employees who are excited to come into work every day. Often, your prospects care just as much about your company’s culture as they do your products or services (shocker, I know!). It’s important to expose some of that culture by showcasing it to your prospects. Use the email signature as a way to highlight non-profit involvement, exciting new employee initiatives or job openings, or even a short video from your CEO talking about your company’s core values. Inviting your prospect to sign up for an upcoming conference, trade show, webinar, or field marketing event is a painless way of engaging. By offering something of value to the prospect by way of your email signature, you are showing how your company values education and resources. If your prospect signs up, you’ll have the opportunity to meet him or her face to face at the event or conference and dive deeper into discovering their needs and goals, as well as have the opportunity to showcase your product or service by providing a personalized demo. Your customers love your product or service, so why not share some of the successes loud and proud? The email signature is a great place to showcase brands across industry, use case, problem they were solving, and more. Use the email signature call-to-action to highlight the customer name and results, then direct the prospect to download the full case study to read more information about how the company achieved the results with your product or service. Customer success stories are some of the greatest ways to accelerate a conversation, especially if your prospect is aware of the company that’s being discussed. Be proud of your customers, and share their stories! Prospects that are researching products or services are always on the lookout for great new thought leadership, especially if it’s unbiased and conducted by a third party. Research reports, whitepapers, and interviews of experts in your field can be important assets for your prospects as they continue their search. Why not share the information with them via the email signature and prompt them to download it and share with the team? It will give your company an extra boost in credibility while also adding value to the relationship. Sales teams are busy. They have a quota to hit and don’t need another distraction from the marketing team asking them to drop what they’re doing to promote the next event or amazing piece of content. It’s not that the sales rep doesn’t want to—they see the value, but these requests are a distraction and often get lost. The email signature is a terrific opportunity for marketers to automatically insert promotions, content, or important calls-to-action directly within the email signatures sales reps (or any other department, for that matter). Gain control of employee’s email signatures to ensure proper formatting and branding on every single employee email signature. No longer will you have to worry about outdated signatures, formatting issues, or wrong uses of colors and fonts (no more purple and red Comic Sans!). 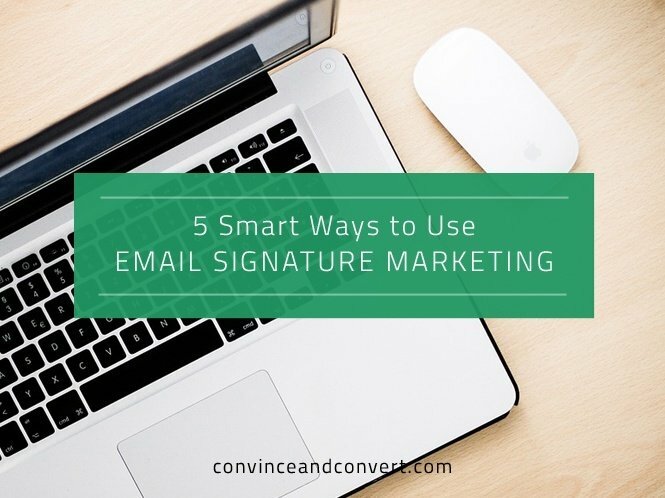 By using the email signature marketing opportunity to a marketer’s advantage, it’s easy to switch campaigns in and out with a few clicks of the mouse to ensure the content is always fresh and up-to-date. For more information on how your company can accelerate in the digital marketing age, download Sigstr’s ebook 4 Emerging Channels for Your SaaS Marketing Toolbox, or check out our blog post on Elevating Your SaaS Brand with Email Signature Marketing. Sign up for Sigstr and start your free 30-day trial today to begin using the power of email signature marketing.